Imagine being stuck in second place without any clear path to overtaking your rival. 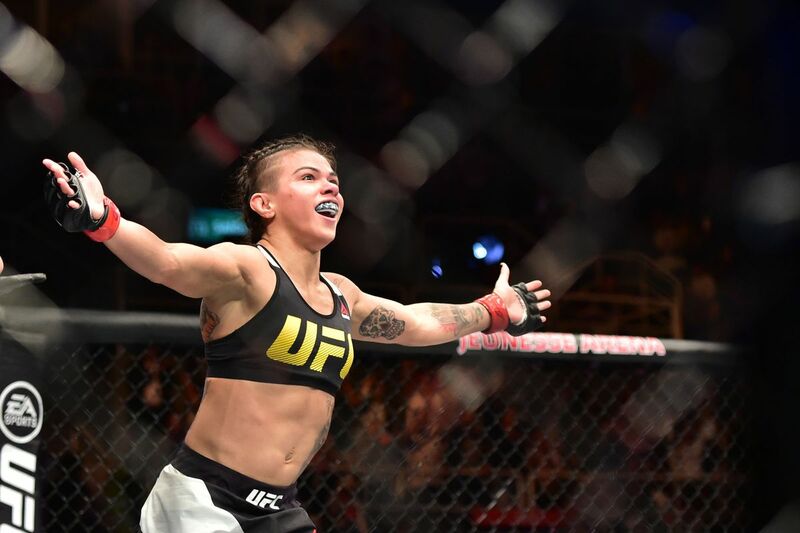 That is where Claudia Gadelha finds herself heading into her UFC Fight Night 117 bout against Jessica Andrade. The Brazilian is widely recognized as the second best woman in the 115-pound division, and her chance to become the top fighter in the weight class largely hinges on what happens with Joanna Jedrzejczyk. With two losses to Jedrzejczyk on her resume, Gadelha sits squarely in the number two spot in the strawweight division. She’s made it clear that she wants to get another shot at the title, but having two losses to the current champion keeps her out of that conversation. 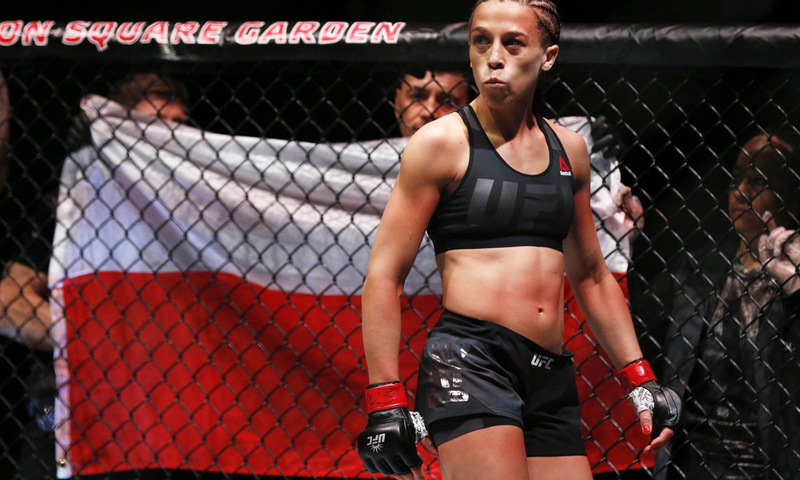 At UFC 217, it’s clear that Jedrzejczyk needs Rose Namajunas to get a victory in order to challenge for that title again in the near future. However, there’s another path for Gadelha that could put her on the track towards a title shot. That path hinges on whether Jedrzejczyk decides to move up to flyweight in the near future. Jedrzejczyk has made it clear that she wants to be the first woman to hold two UFC titles in two divisions. Her dominance over the 115-pound division and the lack of star power at 125 opens the door for that to happen sooner rather than later. Taking that step would put Gadelha right back into the title picture. This is because despite the losses to "Joanna Champion," Gadelha has done all of the work needed to be considered the best person to lead the division next. That work continues with a win on Saturday night over Andrade. Andrade is in a similar position to Gadelha, as she is another fighter that could be in the championship picture if it wasn’t for Jedrzejczyk dispatching every challenger who has come her way. This fight is equally important for her, as a win keeps her in close to the proverbial "mix" for the division's uncertain future. But both women are looking to UFC 217 and The Ultimate Fighter Season 26 to see what happens. While this season of TUF continues, it’s apparent that the two biggest stars in the division aren't competing at 125 yet. There’s Joanna Champion, of course, but there's also UFC 215 bantamweight title challenger Valentina Shevchenko as well. She’s talked about moving to 125 pounds and suggested that she’s undersized for the 135-pound group. Paige VanZant and Jessica Eye will battle at flyweight in a few short weeks, and the winner of that bout could find herself included in the title conversation as the weight class develops. Claudia Gadelha and Jessica Andrade square off in an important fight on Saturday night. The woman who has her hand raised at the end of their UFC Fight Night 117 battle may eventually find herself positioned to hold the belt that’s eluded them both, but that opportunity is out of their hands. Remaining in second place may not be in either of their long term goals, but staying relevant in the strawweight division after suffering defeats to a champion who may leave for new challenges has to be their objective for now. 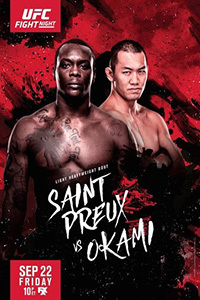 UFC Fight Night 117: Saint Preux vs. Okami (formerly UFC Fight Night 117: Shogun vs. Saint Preux 2) takes place September 23, 2017 at Saitama Super Arena in Saitama, Japan. Click the stars to rate how good you think UFC Fight Night 117 will be.